Japan-related events organized by the Consulate General of Japan and by other organizations are listed on this page. For further information about events organized by other other organizations, please contact the organizers directly. 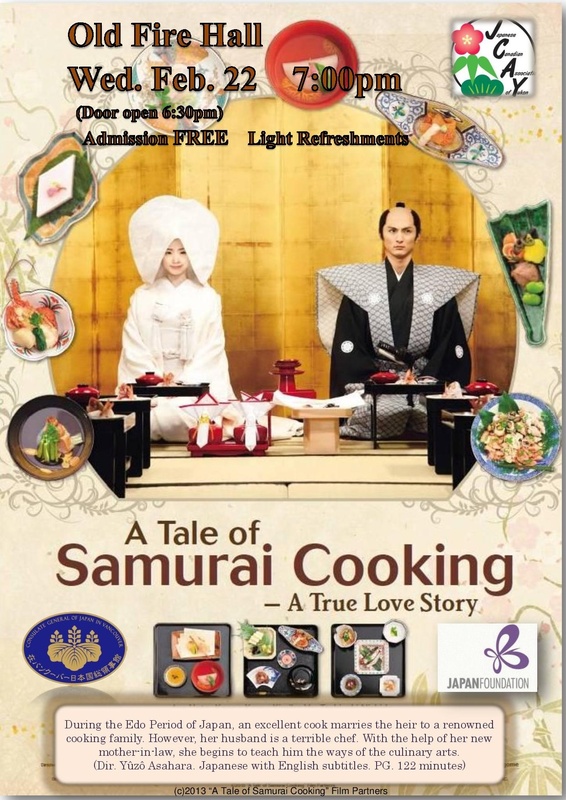 During the Edo Period of Japan, an excellent cook marries the heir to a renowned cooking family. However, her husband is a terrible chef. With the help of her new father-in-law, she begins to teach him the ways of the culinary arts. A family friendly Japanese festival with food, entertainment, games, crafts, etc. The Sake Association of British Columbia presents the first annual Vancovuer sake festival. It is also the largest sake tasting event held in Western Canada and the Pacific Northwest. Over 100 sakes of variety of styles representing sake makers across Japan will be presented at the event. 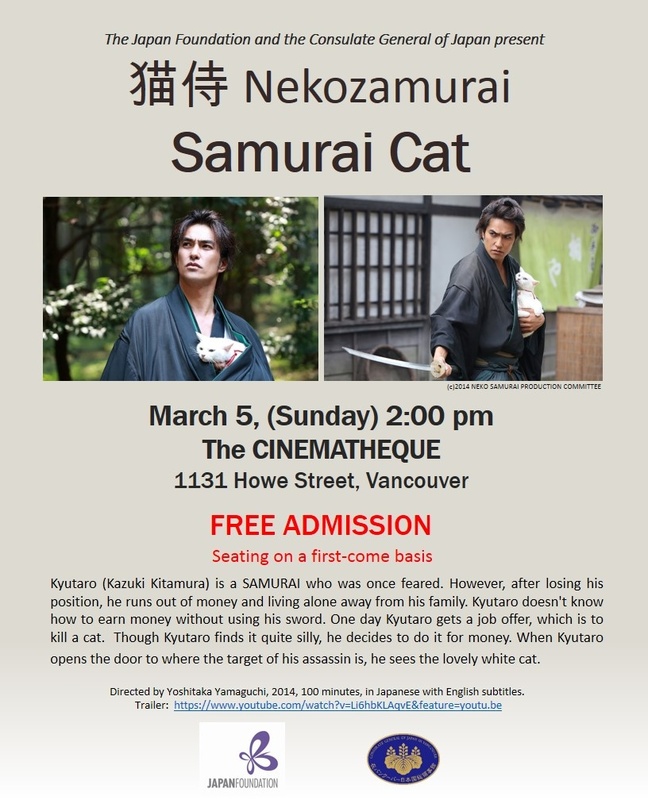 (C) Consulate General of Japan in Vancouver, 900-1177 West Hastings, Vancouver, BC V6E 2K9 Tel: (604) 684-5868. This page updated January 27, 2017 .